Join our monthly book chat on "Moment in Peking" by Lin Yutang. You are also welcome even though you may not have read a single page of the book yet. Just join our discussion! The book is available at Beijing Foreign Language Book Store in Wangfujing Street. A Moment in Peking is a historical novel originally written in English by the Chinese American author Lin Yutang. The novel covers the turbulent events in China from 1900 to 1938, including the Boxer Rebellion, the Republican Revolution of 1911, the Warlord Era, the rise of nationalism and communism, and the origins of the Sino-Japanese War of 1937-1945. The author tries not to be overly judgemental of the characters because he recognizes that too many issues were involved in the chaotic years of the early twentieth century China. There was no absolutely right or wrong character. Each character held a piece of truth and reality and a piece of irrationalism. In the preface, Lin writes that "[This novel] is merely a story of . . . how certain habits of living and ways of thinking are formed and how, above all, [men and women] adjust themselves to the circumstances in this earthly life where men strive but gods rule." While the author does not display hatred toward the Japanese, he does let events and situations affecting the novel characters to let the reader clearly see the reason the Chinese are still bitter about Japan's military past. The novel ends with a cliffhanger, letting the readers hope that the major characters who fled from the coastal regions to the inland of China would survive the horrible war. 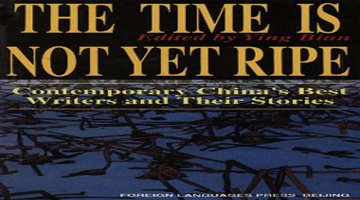 Lin Yutang was nominated the Nobel Prize for Literature with this book in 1975. 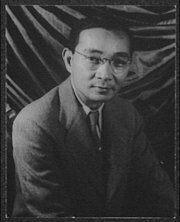 Lin Yutang had originally wanted romantic poet Yu Dafu to do the translation to Chinese, but he had only completed the first section when he was killed in the Japanese invasion. His son Yu Fei finished the translation in 1991, but his version, while capturing the flavor of old Beijing, is not too widely read. The novel has been adapted twice into television dramas, including the most recent version in 2004, starring Zhao Wei. Lin Yutang (������, October 10, 1895 �� March 26, 1976) was a Chinese writer and inventor whose original works and translations of classic Chinese texts became very popular in the West. Lin was born in Fujian province in southeastern China, near Xiamen. This mountainous region made a deep impression on his consciousness, and thereafter he would constantly consider himself a child of the mountains (in one of his books he commented that his idea of hell was a city apartment). His father was a Christian minister. Lin studied for his bachelor's degree at Saint John's University in Shanghai, then received a half-scholarship to continue study for a doctoral degree at Harvard University. He left Harvard early however, moving to France and eventually to Germany, where he completed his requirements for a doctoral degree (in Chinese) at the University of Leipzig. From 1923 to 1926 he taught English literature at Peking University. Dr. Lin was very active in the popularization of classical Chinese literature in the West, as well as the general Chinese attitude towards life. He worked to formulate a new method of romanizing the Chinese language, and created an indexing system for Chinese characters. He was interested in mechanics, he has invented and patented a Chinese typewriter, and several lesser inventions such as a tootbrush with toothpaste dispensing. After 1928 he lived mainly in the United States, where his translations of Chinese texts remained popular for many years. His many works represent an attempt to bridge the cultural gap between the East and the West. He was frequently nominated for the Nobel Prize in Literature. His first two books, My Country and My People (1935) and The Importance of Living (1937), written in English in a charming and witty style, brought him international fame. Others include Between Tears and Laughter (1943), The Importance of Understanding (1960, a book of translated Chinese literary passages and short pieces), The Chinese Theory of Art (1967), and the novels Moment in Peking (1939) and The Vermillion Gate (1953), Chinese-English Dictionary of Modern Usage (1973). Dr. Lin was buried at his home in Yangmingshan, Taipei, Taiwan. His home has been turned into a museum, which is operated by Taipei-based Soochow University.